From a secret San José location, the Rhythm Street Applejacks distill classic jazz styles that once poured from dance halls and juke joints of the 1920s and 1930s. 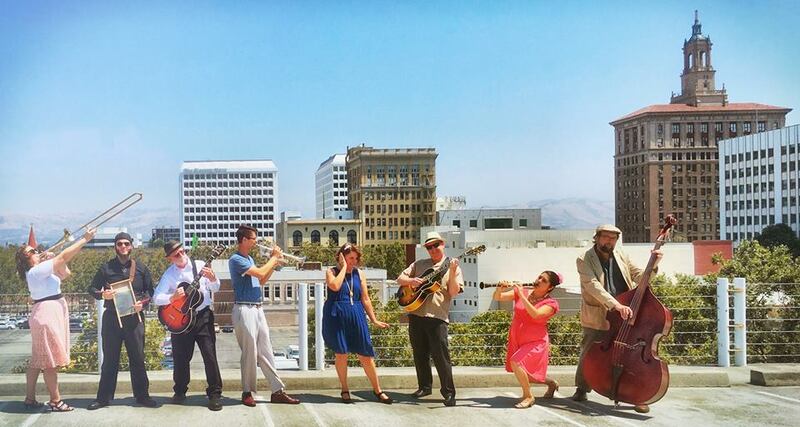 With a love of rhythm and simple melodies, the Applejacks bring the infectious joy of classic swing to contemporary audiences in Silicon Valley and Santa Cruz. Join us in creating a safe space for dancers to come together and share stories of our experiences on and off the dance floor. Anyone can share (or not!) and everyone is welcome to come and listen. We’re particularly interested in hearing from people of color, women, gender and sexuality minorities, people with disabilities, and others with untold stories. Moderated by Brynna Hayes and Justin Lebar.